The crisis in Ukraine has taken very dangerous turn. After the breakaway of Crimea, the Western world has imposed sanctions on Russian leadership and in retaliation Russia reciprocated with the same action. This situation is contrastingly different than just few months ago when the US and Russia were cooperating on Iranian Nuclear controversy and Syrian crisis. In the backdrop of ongoing Ukrainian issue, what would be the relationship of two great powers and how it is going to affect the ‘East-West’ relations? Is this the end of unilateralism or beginning of a new cold war? This article endeavours to answer these questions through historical context, Russian fears and Western concerns. 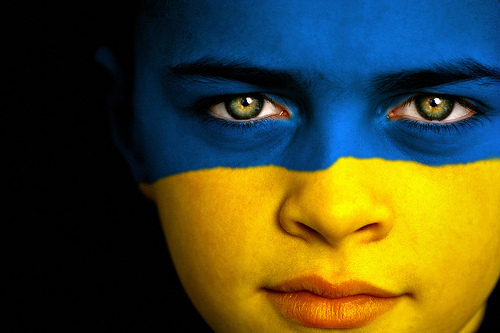 Ukraine got independence in the wake of Soviet disintegration in 1991 and was being run as an independent country. It signed an agreement with the Russian Federation in 1997 of leasing the Sevastopol naval base for the Russian Black Sea Fleet for ten years with 25,000 Russian troops stationed. The Ukrainian presidential elections held in 2004 that declared pro-Russian Viktor Yanukovych were termed as unfair and rigged resulting in massive protests called the ‘Orange Revolution’ led by opposition leader Viktor Yushchenko. In the run-off elections, Yushchenko was declared winner and became Ukraine’s president. In 2010 presidential elections, a pro-Kremlin candidate Viktor Yanukovych wins the election. The Ukraine-Russia agreement of 1997 to be expired in 2017 was further extend in April 2010 for another twenty-five years to be expired by 2042. In return Russia agreed to provide much needed economic help to Ukraine with a tune of $40 billion over the years. The agreement helped President Yanukovych to secure second term in office in 2010. After becoming the president, Yanukovych refused to sign the pact having closer ties with the EU in November 2013. Resultantly, the Ukrainians came out on streets massively and forced President Yanukovych to be deposed in February 2014. That led to an interim pro-west, Olexander Turchynov to take over the presidency. As the crisis persisted, Russian forces entered Crimea/Ukraine. In a national referendum held on March 16, 2014, the Crimean overwhelmingly (97%) supported to join Russia. Next day, the Crimean parliament ratified the joining with Russia, declared the Russian currency, Rouble, as second valid currency and asked the United Nations to recognise its joining Russia. In an agreement signed in Moscow between Crimea and Russia on March 18, 2014, the region formally joins with the Russian Federation. The US and EU did not accept the referendum and ceding of Crimea to Russia and imposed sanctions on Russian leadership, including President Putin. In retaliation, Russia also imposed sanctions on the western leaders. Importantly, on March 21, 2014, Ukraine singed a deal with the EU, depicting its choice to remain pro-west. It should be borne in mind that after getting independence from Russia, Ukraine has become the largest European state with 44 million population and a major gas supplier to Europe. But the country is delicately poised due to economic dependence on the outside financial support. After regaining the presidency in 2000, Vladimir Putin has turned around the Russian economy and put it onto the road to stability. After stabilising the Russian economy the next step was to regain the lost status of a global power. He has also questioned the breakup of the Soviet Union as a ‘geopolitical absurdity of 20th century.’ Therefore, Putin started to reassert Russian position in the global affairs by securing its immediate areas of concern and influencing the peripheries of these areas. It is thus in this context that Russia started asserting itself in Central Asia and Middle East to prove its status as a global power. By moving into Georgia in 2008 and now in Ukraine in 2014 it wanted to convey a clear message that it cannot compromise on its vital national security interest. Therefore, it is opposed to Georgia and Ukraine joining the EU and ultimately the NATO. The Russian fears stem from the western style democracy in its immediate vicinity that has all the germs of losing Kremlin’s control over its satellite states. Many Russians assert that if the western alliance can intervene militarily in Afghanistan, Iraq and Libya to safeguard their national security interest, so can Russia. Moreover, the Crimean ceding to Russia was peaceful and as per the democratic values as over 97% Crimean voted to join Russia. Moreover, when the breakaway Soviet republics were joining the EU, it was understood that these states would serve as buffer zone between the West and the Russian Federation. Thus by eventual joining of Ukraine to the EU and NATO, Russia would lose its strategic depth and the buffer zone would shrink to just 100 km from the Russian borders. Importantly, the Russian Black Sea fleet stationed at Sevastopol would lose its strategic value. Therefore, asserting its role in its immediate areas of concerns and its peripheries, Russia want to secure its own heartland. The Russian control over Crimea is compensation to the Ukrainian loss, through which Russia can still play an assertive role in the European theatre. The western world has serious concerns about Russian moves into the European spheres. The prospective former Soviet republics were physically coerced not to join the EU/NATO. The Russian moving into Georgia and Ukraine, and annexation of Crimea are alarming episodes that cannot be dismissed easily by the West. The reasserting role of President Putin first in Middle East (Iranian Nuclear issue and Syrian crisis) and now in former Eastern Europe is threatening the vital security interests of the West. The western states have very limited options except sanctions. Given the war-weary western population, heavy financial burden of military involvement in many parts of the world and fallout of the Euro-zone economic crisis, the western states, including the US cannot take military action. However, the western world has a dilemma; how to stop Russian future moves without military involvement and at the same times do not let Putin to go unpunished. The Ukraine episode has serious implications for the regional and global strategic environment. The European regional security would face major challenge from Russian presence in Crimea. The global balance of power shifting away from Europe may be redirected to the European theatre again. At the international level, the western world needs the goodwill of Russia to resolve the Iranian nuclear controversy and Syrian issue. The Ukraine episode also questions the peaceful cooperation of global powers to the resolution of many critical issues. It may not be an end of unilateralism but it has definitely dented it, and severely undermined the uni-polar global order centred on the US. The world may also witness another Cold War being contested at many regions of the world. Sanctions may not work effectively as Russia is the world’s 8th largest economy and global economies are interdependent on major economic powers including Russian Federation. The world cannot bear another crisis erupting into a possible war. Therefore, efforts should be aimed at resolving the crisis rather than aggravating it. Russia can be involved in negotiations and be convinced rather than pushed to the wall to retaliate with force. Dr. Nazir Hussain is Professor at the School of Politics and International Relations, Quaid-i-Azam University, Islamabad.